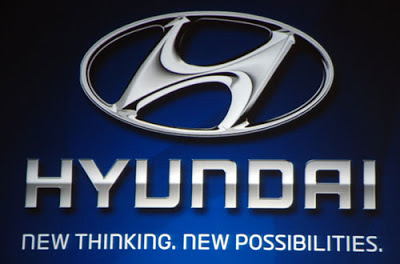 In an attempt to showcase their latest autonomous features, Hyundai released a new daredevil commercial featuring trained stunt drivers operating a convoy of 2015 Genesis sedans. Throughout the spot, audiences are brought face to face with the new automated cruise control, lane keeping camera, and emergency braking technology. These, of course, are all found in the new Genesis. If anybody had any doubts about this system’s capabilities, this commercial surely squashes that. Check it out. These benefits, of course, are only half of the story when it comes to Hyundai. Just over a decade ago, the company had fallen to the depths of the industry, ostracized as a laughing stock, a producer of low-grade vehicles. But since a managerial and philosophical overhaul have taken place, the company has risen up the ranks, producing some of today’s most esteemed vehicles. The 2015 Hyundai Genesis is the epoch of this success. Yes, Hyundai is now a contender in the automotive market, and the 2015 Genesis is the latest weapon that they are wielding. This entry was posted in Hyundai and tagged automatic brake system, autonomous, commercial, hyundai genesis. Bookmark the permalink.